This episode of Sewing Out Loud is brought to you by MyBodyModel. Create a custom design template based on your body measurements using this custom app created especially for garment stitchers! Get 15% the app when you go to MyBodyModel.com and enter code SEWHERE at checkout, now through February 9th 2019. Do you want to see what a garment would look like on your body shape, before you invest time and fabric into making it? With MyBodyModel you can draw your fashion ideas on an outline of your own body. 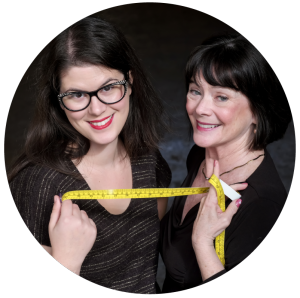 Just enter your measurements online, and get your own fashion design templates, shaped like YOU. You can preview your body model for free! MyBodyModel is launching the latest, new and improved version of their app with better accuracy and more body measurement data options. 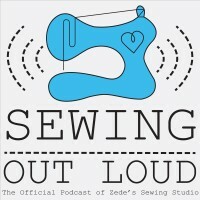 Listeners to Sewing Out Loud get 15% when you use code SEWHERE (that’s S E W H E R E) for now through Saturday, Feb 9th!